Hey there! 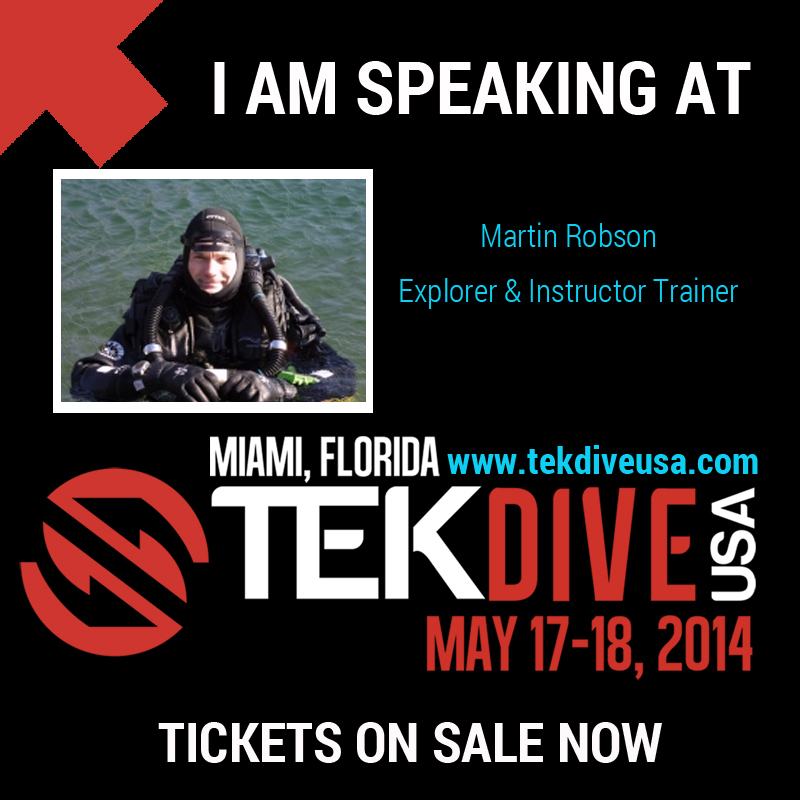 Thanks for dropping by Martin Robson's Blog! Take a look around and grab the RSS feed to stay updated. See you around! It has taken a while and a lot of work but we are, at long last, heading toward the point where you can actually have a copy in your hands. Please feel free to share and do have a look at the web site to check on how we are trying to fund this project. It is being done with a sort of crowdfunding but if we don’t hit the target you won’t loose any money so please do pledge to buy a copy, thank you. When we plan how much bailout gas we need there are a number of different strategies, ‘bailout philosophies’, we can employ. It is also perfectly fine to combine strategies depending on the nature of the dive, how many divers there are on the team, how many support divers there are to help etc. Here are some of the options. The pros and cons of each and how to plan the set up will be looked at in a further article. Drop cylinders/support divers. 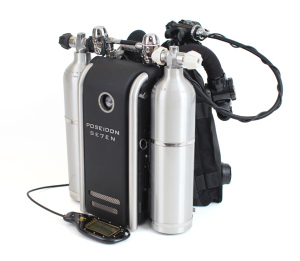 By using a prearranged time or a pre-planned signal to the surface support divers can deliver gas to the dive team. 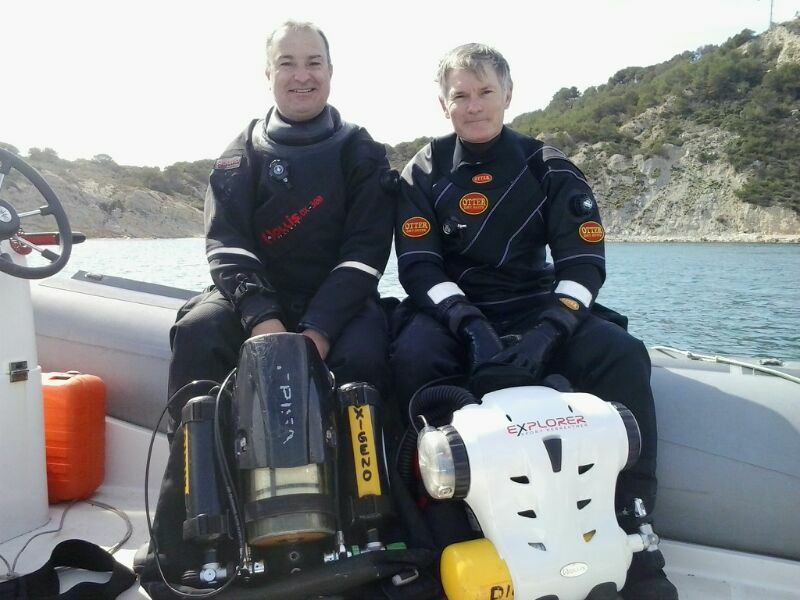 For example on a deeper dive you can signal the surface cover at a pre-planned depth and support divers can descend and take away all the deep trimix bailout cylinders which are no longer needed and exchange them for shallower decompression gasses. This means you don’t have to carry absolutely everything throughout the entire dive regardless of how you have calculated your gas volumes. This system can also be used to cover emergencies. A separate emergency signal can be used to alert the support dives and have them commit to deliver gas in advance of any pre-planned depths or times if something has gone wrong and one of the team has had to bailout. 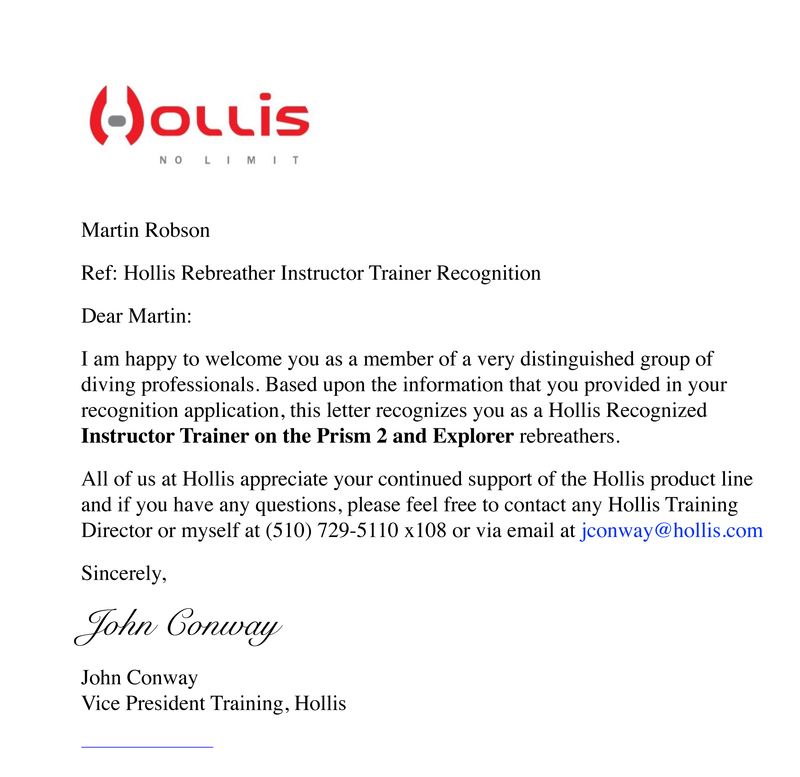 It has taken a little while to come through (we have been running Hollis approved Prism II and Explorer Instructor courses since late 2013) but it is still nice to get my letter. My thanks to John Conway for sending. After a long flight, although not as long as going to Australia, I arrived in Nagoya, Japan to be met by Nobuyuki-san for dinner. 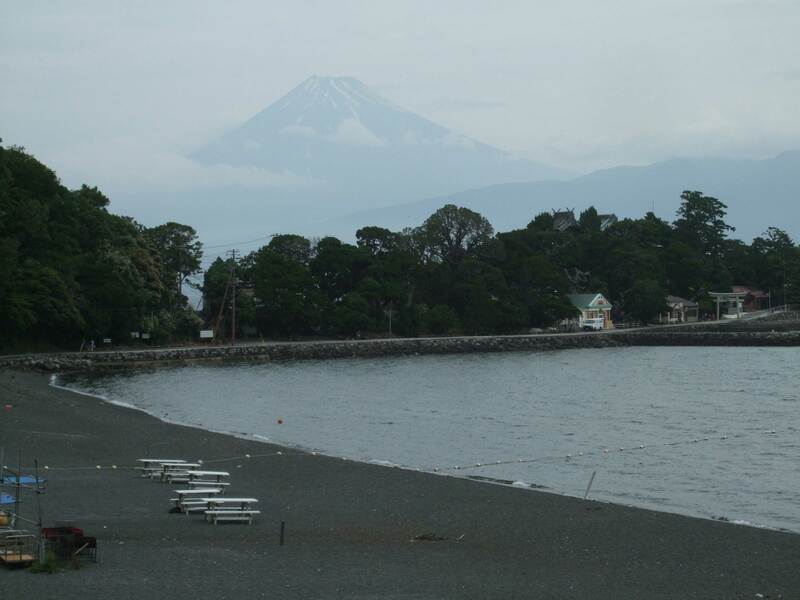 The next morning we drove to Osezaki in Shizouka Prefecture to start a Tec 40 CCR Diver course for Nobuyuki and Yosuke. I was surprised how much life there is here in the ocean despite the sea bed being quite black (the ‘sand’ and gravel is basically volcanic, we are diving in sight of Mount Fuji) and barren in places. The dive site is in a very sheltered bay so even on very windy days the sea is fairly flat and we can still dive 🙂 Diving is not the only lesson, I am learning some Japanese and of course, getting to know the local cuisine. Home from a great week running Hollis Explorer and Prism II Instructor and IT training. It was still technically winter so we were lucky with the weather and diving conditions and managed to complete everything we needed to do. Planning to go back next year for Tec 60 CCR and Tec 100 CCR Instructor training. Thank you – hope to see you on the new site. The address http://www.eau2.com has now been redirected and points at the new website. Amazing stuff this internet and it all connected a lot sooner than my web hosts suggested. http://www.eau2.com is back up and running.